Images from May 21, 2005 performances at the Doheny Blues Festival in Dana Point, CA. The Blind Boys of Alabama, The Neville Brothers, Jimmy Thackery, and The Mamas Boys. 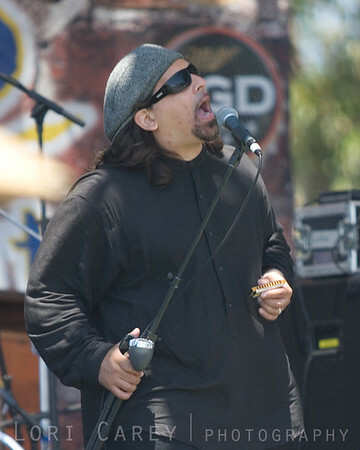 James Mastro and The Mama's Boys performing at the Doheny Blues Festival in Dana Point, California on May 21, 2005.